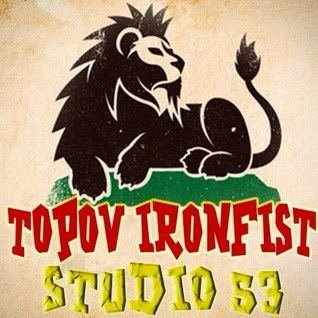 Give thanks each and every time to Ironfist Topov and Studio 53 for the nice birthday surprise they had in store for us. More love and blessings to all the Dubophonic family who were tuned into the show, contributing with their music and the comments (in the facebook chatline) to the positive vibrations of the evening. Red Star, Ibel, Tom "Koncrete Roots", Pete Cogle, Jennifer Paulos, Ada "Black Star", Zion Irie, Dubbstyle, "Reggaediscography" Marco, Minano Dub, Puppa Deck, Marvin "Karma Dub", Bigred Warriah, Briscoe Sunlion, Kleber "Roots Dubbing Project", Emilia and all the listeners with no name ... bigup each and every time. "It was a party, it was a party, it was a Dubophonic party" and Ironfist selected tunes from the back-catalog of the label, alongside with exclusive dubplates and unreleased tracks, aired for the first time. Nuff respect all the Dubophonic artists. For those who could not be there, we have uploaded on mixcloud the podcast. Going strong into the second year with more Dubophonic vibrations. Blessings and love to all!